The $4 billion dollar purchase of Lucasfilm saw Disney reorganizing the expanded universe into Star Wars Legends, with the six theatrical films and The Clone Wars series remaining canon as plans began for all new movies, shows, books, comics, and games. 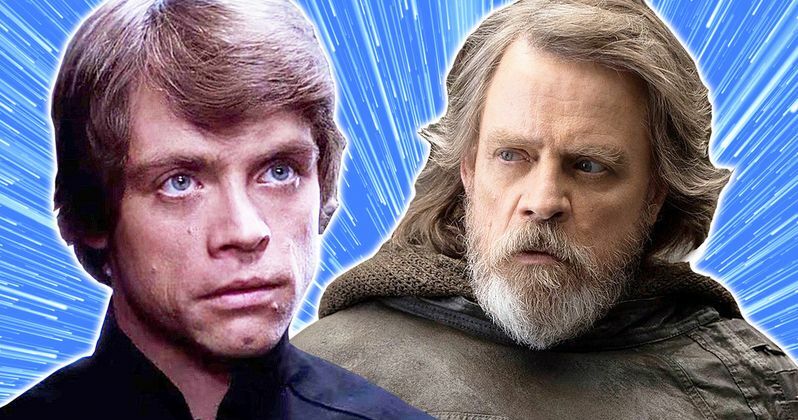 By the time audiences lined up for Episode VIII several story gaps between the events of Return of the Jedi and Star Wars: The Last Jedi had been filled in exciting ways. Princess Leia marries Han Solo. As every Star Wars fan knows, about four years after the Battle of Yavin depicted in A New Hope, the Rebel Alliance destroyed the second Death Star. The Prophecy of the Chosen One spoken about in Episode I is seemingly fulfilled with the destruction of the Sith. Former Jedi Knight Anakin Skywalker, with the help of his son, kills the Emperor, thereby destroying both Darth Sidious and his own alter ego, Darth Vader. As detailed in the new canon novels Aftermath: Empire's End and Aftermath: Life Debt, Rebel leaders Leia Organa and General Han Solo are married on the forest moon of Endor. Luke recovers an artifact hidden by the Emperor. Luke Skywalker tells R2-D2, "If the Empire is here, then what I sensed is true. There must be something special about this place." The new age Jedi Knight and Rebel Commander came to Pillio in search of an Observatory where the Emperor hid various artifacts behind an entrance only accessible to a Force wielder. Luke leaves there with an old compass, as depicted in the 2017 video game Battlefront II. Battlefront II and the four-issue Shattered Empire comic series detail Operation: Cinder, a contingency plan crafted by the Emperor himself and posthumously ordered via hologram. Imperial admirals are tasked with devastating environmental attacks on a handful of worlds, including Naboo. With the assistance of two key Imperial defectors, Princess Leia's forces successfully defeat Operation: Cinder. The New Republic is born. In the novel Aftermath, we see the dissolution of the Rebel Alliance and the formation of the New Republic, built on the democratic principles of the Old Republic, with the planet Chandrila chosen as the seat of the newly restored Galactic Senate. After her election as Chancellor, former Rebel Alliance leader Mon Mothma unveils plans to reduce the size of the military and to give up the emergency powers and authority given to Palpatine in Star Wars Episode II: Attack of the Clones. The connection between Luke Skywalker and Poe Dameron. In his continuing search for artifacts housed in secret Imperial facilities, Luke located two fragments of the Great Tree that was once at the heart of the Jedi Temple on Coruscant. As detailed in Shattered Empire, Luke kept one fragment and entrusted the other to Shara Bey, who plants it on Yavin IV after retiring from the New Republic military. Bey's husband is Kes Dameron. They have a young son, Poe. Should Lucasfilm CGI Clothes on Bikini Leia in Return of the Jedi?